Contact Hollywood Car Accident Lawyers Gerson & Schwartz, P.A. Car accidents are common in Florida and the City of Hollywood is not an exception. 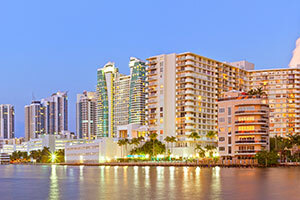 This city is located between Miami and Fort Lauderdale, so there are plenty of multiple lane roads and highways cutting through it from north to south. These include 441, I-95 and Florida Turnpike and these are some of the most dangerous roads in the whole state. The most dangerous parts are the intersections with Hollywood Boulevard, Pembroke Road, and Sheridan Street. Hollywood, Florida, has around 3500 auto accidents annually, around 2000 of which result in some type of injury. To make sure that your case qualifies for the recovery of damages it is best to consult an experienced Hollywood auto accident attorney, so call us now and learn about your options. When such an accident happens, there are two most common responses. The first one is denying responsibility. The liable person will nearly never admit fault. Not only it means they have to pay for the accident; it means trouble with police. However, when the situation is too obvious, and they know they can't deny it, their insurance company may try get rid of you by offering you a low settlement offer. We always advise clients in Hollywood not to accept it before reviewing it with a Hollywood car accident lawyer. In our 40 plus years of experience, these offers are usually less than what you deserve. Don't expect to receive the compensation you deserve quickly. You'll need to do the work necessary for that. It includes gathering of evidence and negotiations, so if you don't do that every day, call a Hollywood car accident lawyer for help. Here at Gerson and Schwartz, we are at your service for free consultations at (305) 371-6000. You'll pay fees only when we recover damages for you.